It’s the gentle lap of the waves at the shore. The breeze that lightly blows your hair. The calm quiet as the sun sets. It’s the water, and for you it’s home. That’s why you live where you live. It’s why you work as hard as you do—because on the water and near the water is where you need to be. And it’s why you need a Duffy. 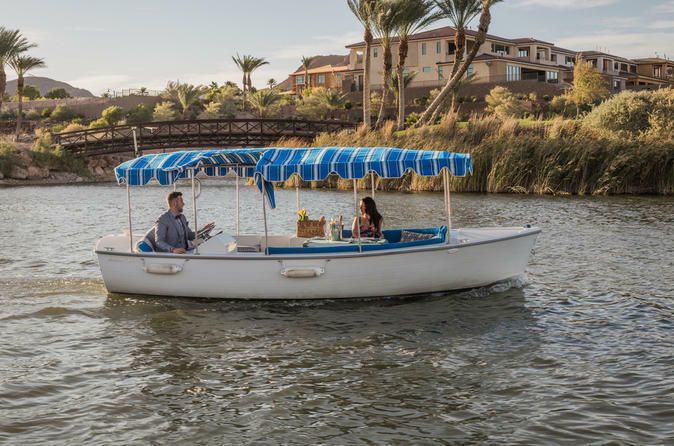 With a Duffy Electric Boat, the water is accessible whenever you want it to be. There’s no planning. There’s no prepping. When you’re ready to be on the water, your Duffy is ready to take you. Our boats hold up to 8 people, if you have 9-11 people please upgrade to a larger boat for an additional fee when you arrive.